Chefs, scientists, and entrepreneurs are giving the chilhuacle pepper – a once-imperilled ingredient of Mexico’s holiest mole – a new future. Lucas Laursen tracks a potentially purposeful transformation. The Martínez family and the few other growers lost much of their chilhuacle crops in 1997. That year marked the start of a slow decline in chilhuacle production. 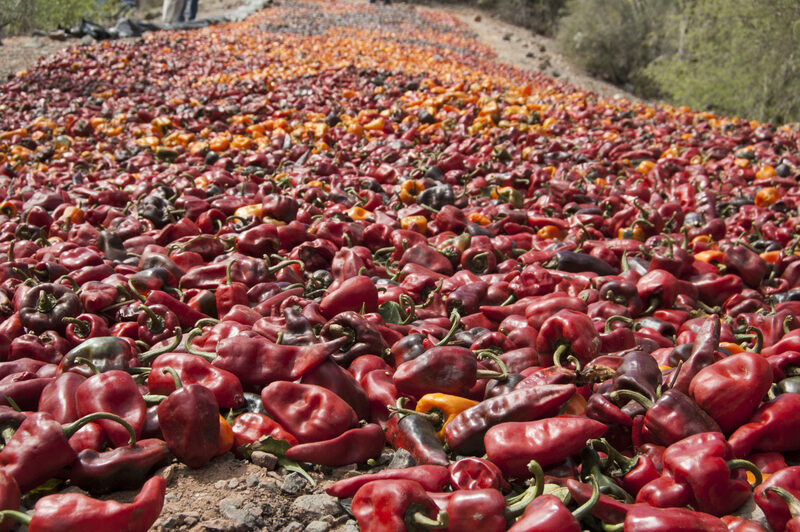 Despite the chilli’s high market price, many growers stopped planting it. The chilhuacle is not important to filling Mexican bellies the way corn and beans are. It is important for different reasons, closer to how halva marks death in some Muslim cultures or Easter eggs mark resurrection in Christianity. 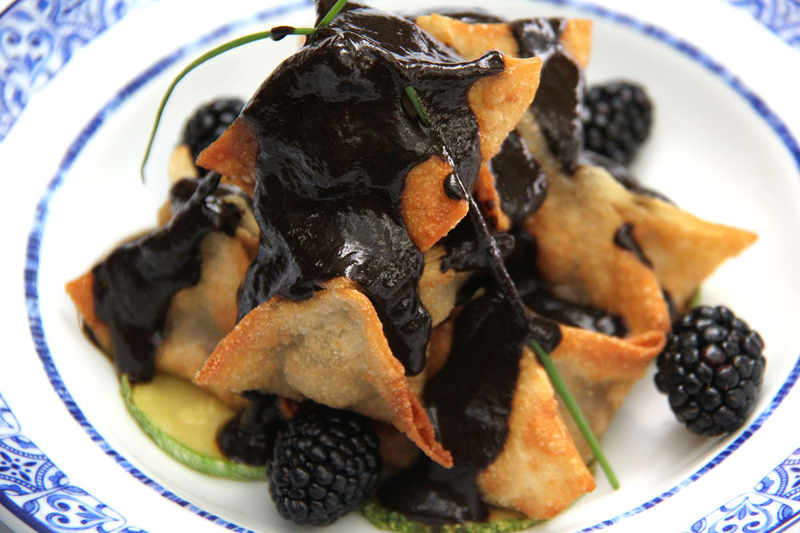 At Day of the Dead and other festive occasions Mexicans eat black mole, a sauce whose smoky, ashy flavour centuries-old texts ascribe to chilhuacle. In the late 1990s, chilhuacle was a cultural treasure threatened by invasive pests and neglect from the small pool of traditional growers, who found they could make a better living with other crops or by emigrating. The moles made from chilhuacle are complex, smoky, and subtle sauces, says chef Ricardo Muñoz Zurita. Photo courtesy of Ricardo Muñoz Zurita, Azul restaurants. But the chilli’s cultural weight attracted a Mexico City chef and a Oaxaca plant biologist, who began visiting Félix Martínez and other growers in the region, the Cañada de Oaxaca. Since then, a loose-knit mix of locals and outsiders have financed planting costs, worked with growers to develop pest-resistant production methods, and even begun experimenting with growing chilhuacle elsewhere. In the last couple of years, Martínez has achieved higher crop yields, better prices for his product, and some of his neighbours have returned to growing chilhuacle. Thanks to this outside interest, chilhuacle’s chances may be stronger than ever. “People seek out this chilli. The market values it”, Martínez says. But to overcome the onslaught of outside threats, chilhuacle’s supporters have had to mix traditional agricultural methods with new ones. Growers well beyond chilhuacle’s birthplace are dabbling with the chilli, a development that may serve as a genetic backup system, but one that not everyone in Oaxaca welcomes. Saving this particular cultivar, however, and the food tradition it represents, may require changing the culture that created it. The traditional method of producing dried chilhuacle involves planting one of several small fields that dot the valley with seeds from last year’s crop. Growers use very little in the way of pesticides and fertiliser. If it rains too much, the cups where the chillies attach to the plant stems fill with water and fungus begins to grow, rotting the fruit and reducing yields. Tobacco mosaic virus, tobacco etch virus, and begomovirus also afflict the plants. “My first memory of chilhuacle chillies is from 1982 or 1983, during my first contact with Oaxaca. There’s where I discovered the magic”, says Ricardo Muñoz Zurita, chef at the Azul restaurants in Mexico City, author of a Larousse encyclopedia of Mexican gastronomy, and advocate for conserving Mexican traditional food knowledge. Moles are an important part of Mexico’s food identity. The ones we know today emerged during colonial times by mixing Spanish and African ingredients into indigenous sauce recipes, making them both global and local—moles are mestizo. Chilhuacle, the defining ingredient in some important recipes, allows cooks to express “subtle, agreeable flavours”, Muñoz says, similar to tobacco and even citrus fruit, that complement mole’s smokiness. It also lacks the overwhelming burning sensation of some chillies. Oaxacan chefs, many of them women, advocate using chilhuacle from the Cañada, claiming it as part of the identity of their region. Abigail Mendoza Ruiz, a chef of traditional Oaxacan food at Tlamanalli in Teotitlán del Valle and an ambassador of Zapotec culture, called the chilhuacle “sacred” in a 2012 interview. The Cañada of Oaxaca is home to chilhuacle, a chilli with nearly sacred status in the region’s cuisine. Map: E. Wikander/Azote. But in the early 2000s Muñoz noticed fewer chilhuacle in the market, and at higher prices. “I decided to take the bull by the horns and ask what was happening with the chilli”, he recalls. Muñoz began getting to know the growers in the Cañada, who told him of their troubles with insects, viruses, and another factor: people were leaving for the cities. Farming was no longer worth it to everyone there, and those who remained were not all willing to deal with chilhuacle’s risks. The problem is that chilhuacle attracts whitefly and aphids, which sap the plant of nutrients and transmit viruses. “You can barely produce anything in open fields anymore”, says López. The arrival of these global pests, which affect many other crops on several continents, coincided with a time of extended droughts. It may not have helped that certain traditional practices, such as rotating crops, require careful calibration to avoid giving pests year-round habitats. López says he noticed that some Cañada growers no longer respected the required time gaps between crops. The community may have been losing traditional knowledge as younger members emigrated. And chilhuacle, despite its famous flavours, may lack the genetic diversity needed to resist attacks by pests, says plant physiologist Fernando Gómez Merino, at the Colegio de Postgraduados in Córdoba, Mexico. “The chilli has very little genetic diversity due to its isolation”, he says. A couple of hours’ drive over a zigzagging road through iron-red mountains dotted with candelabra cactus, INIFAP’s field station occupies a small slice of the wide valley that also hosts the city of Oaxaca. That is where López, the biologist, has been experimenting since 2014 with new ways of growing chilhuacle, including under cover of greenhouses. It is López’s job to help Mexican farmers get more economic value from their crops. Unlike some more panicked fans of the chilli, López says, “It’s not endangered, it’s just not very productive”. 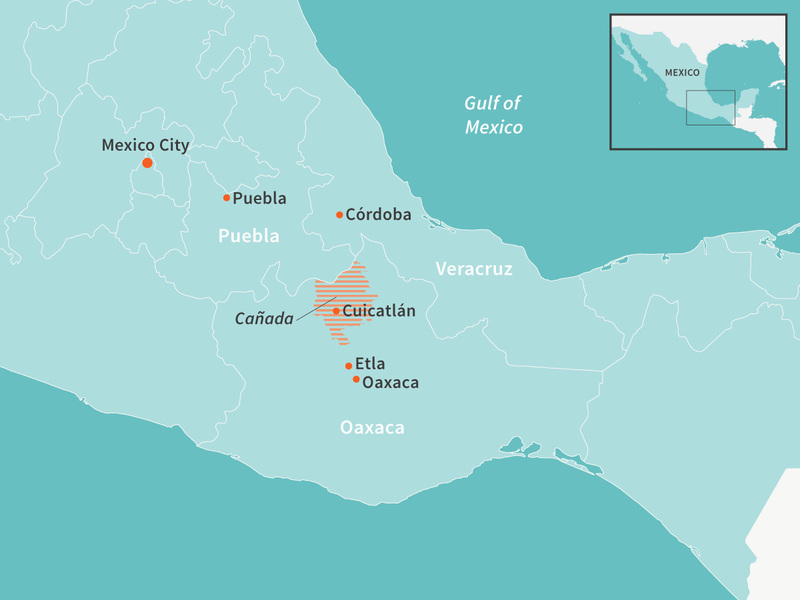 López argued in a paper last year that better growing could make chilhuacle worth around 125 million pesos (nearly £5 million) a year to the state of Oaxaca, which most sources rank as one of the two or three poorest states in Mexico. That’s small change compared to the tourism that floods the state’s capital city and its beaches. But in the remote towns of the Cañada, where chilhuacle originates, it could serve as a bulwark against economic decline, giving locals more incentive to protect the crop. López reported in his 2016 paper that growing chilhuacle in greenhouses, and following certain spacing guidelines, reduced the damage from pests and doubled yields per hectare.1 1. López López, P., Rodríguez Hernández, R., Bravo Mosqueda, E., 2016. IMPACTO ECONOMICO DEL CHILE HUACLE (Capsicum annuum L) EN EL ESTADO DE OAXACA. [Economic Impact of the Huacle Chile (Capsicum annum L) in the State of Oaxaca] Revista Mexicana de Agronegocios ISSN 1405-9282 http://www.redalyc.org/articulo.oa?id=14146082010 See all references The team also noted that while chilhuacle requires higher up-front investments than similar chillies, the return on the investment can reach triple the costs of production. 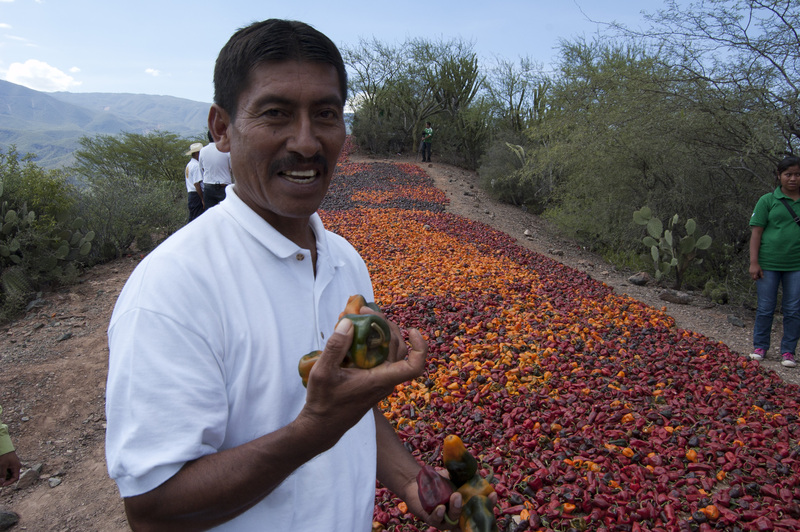 At the World Pepper Convention last month in Aguascalientes, Mexico, López reported that three of his five experimental lines of greenhouse-grown chilhuacle were yielding around 70% more peppers than open-air crops. Given another couple of growing seasons, he expects to have stable cultivars of those lines that he can distribute to growers. Gómez and co-authors agree with López’s finding that traditional growers have not been getting the most out of their chilhuacle crops. In a 2017 paper, they report that growers in the Cañada have been using lower-than-recommended amounts of fertiliser and were not disinfecting their soil before planting.2 2. García-Gaytán, V., Gómez-Merino, F. C., Trejo-Téllez, L. I., Baca-Castillo, G. A., García-Morales, S., 2017. The Chilhuacle Chili (Capsicum annuum L.) in Mexico: Description of the Variety, Its Cultivation, and Uses. International Journal of Agronomy. 2017 (2017), Article ID 5641680, 13 pages. DOI: 10.1155/2017/5641680 See all references Gómez’s team has experimented with growing chilhuacle in greenhouses and testing different planting densities and pruning strategies. In addition to exploring new growing methods his team has used gamma radiation to promote mutation in about 20 test lines, which they are now evaluating for yield and pest resistance. Martínez began changing his growing practices in parallel to some of the ongoing research. In 2015, he used some of his financing to purchase land he once rented and install greenhouses. Another grower in the Cañada won some state funding to add his own greenhouses. “We have dropped the planting costs” by about two thirds, Muñoz says, and because they now control irrigation, growers can plant and harvest twice a year rather than just once using rainfall. In addition to improving the plant itself, other people are improving the market for chilhuacle. Mendoza, Muñoz, and other chefs have drummed up awareness of chilhuacle through an informal publicity campaign. Starting in 2010, Muñoz began encouraging his Mexico City colleagues to pool together and pay for their chilhuacle up front, to help Martínez cover chilhuacle’s higher costs. They also agreed to pay the retail price, instead of going through middlemen in Oaxaca’s central market. Muñoz says the result has been worth the extra money, because the chilli is higher quality and because it is now possible for high-end restaurants like his, as well as everyday buyers, to more easily obtain chilhuacle. The Cañada growers are not alone. 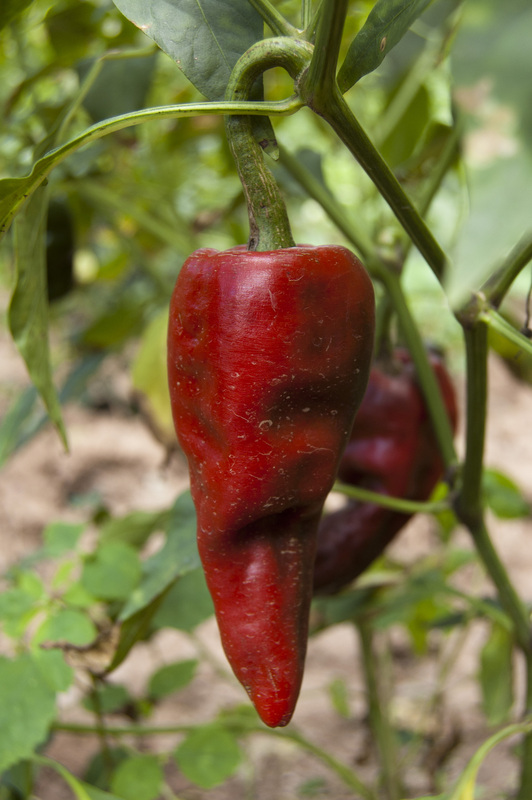 A Mexican chilli growers’ association has experimented with growing chilhuacle elsewhere in Mexico, with mixed success. “I’ve had test chillies and other ones grown elsewhere and it’s not the same chilli”, Muñoz says. It remains an open question whether a cook or eater of mole – which can contain dozens of ingredients – could tell where the chilhuacle was grown. Many Mexican chefs say they would prefer to cook chilhuacle grown and dried in its traditional grounds, and Martínez calls growers elsewhere in Mexico “disloyal” competitors. The outside of a greenhouse at the Martínez family field in Cuicatlán in the Cañada de Oaxaca. Photo courtesy of Ricardo Muñoz Zurita, Azul restaurants. The hillsides that frame fields of chilhuacle in the Cañada are radiant with rusty red iron. When the drying season came in autumn, just before Day of the Dead, a smoky, fruity aroma once led visitors through green fields to a fiery carpet of drying chilhuacle. 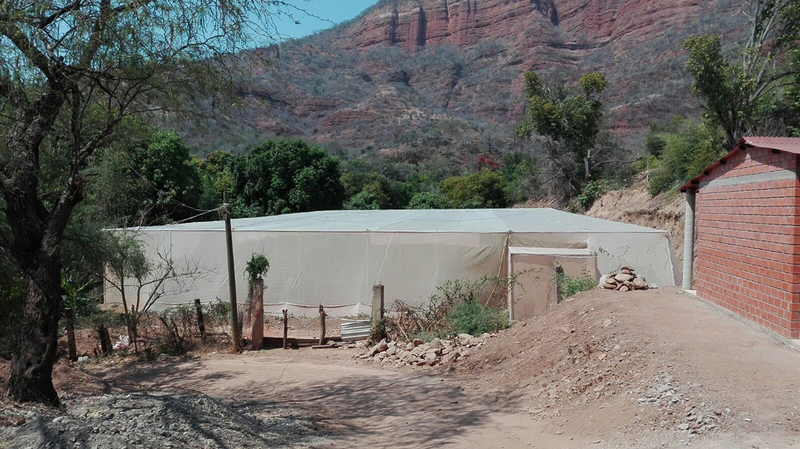 Now both the growing plants and the drying fruits are boxed in, in greenhouses and a donated glass solar drier, safe from pests. The chillies have less contact with their environment, but their quality for buyers is higher. Header image: Chilhuacle drying on a hillside above the Martínez field in Cuicatlán, Mexico, in 2014. Photo: Lucas Laursen. The ways in which we eat and produce our food are unsustainable from both environmental and public health perspectives. We need to see a drastic and inspirational shift in the world's food system.